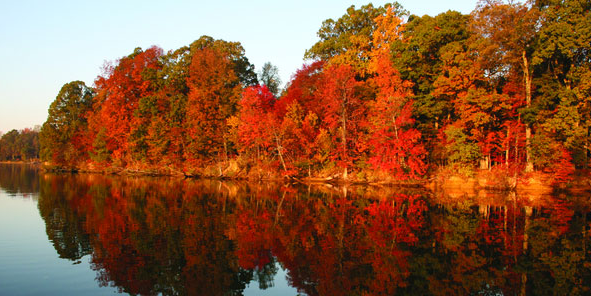 Fall on the Chesapeake Bay is absolutely stunning. So, set sail for an exciting cruise - bring your cameras! 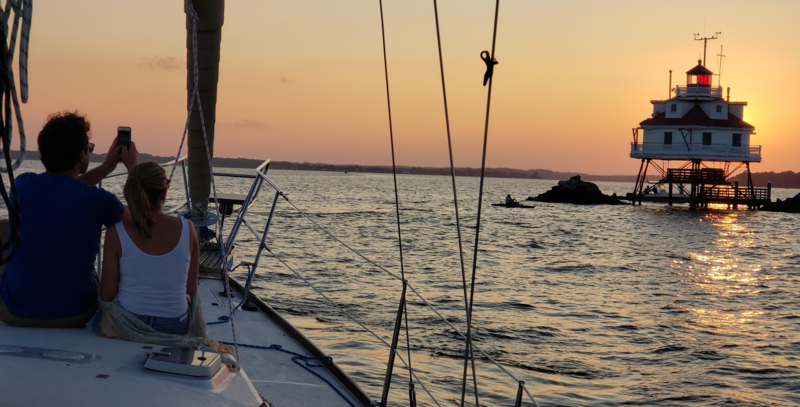 Sail along the tree-lined tributaries of the South River and Chesapeake; our guests love to photograph Historic Annapolis, the Thomas Point Lighthouse and big ships anchored in main shipping channel. Whether sail or powerboat, enjoy gorgeous views as the leaves change color and bask in the last warmth of our Indian Summers. Departs Londontowne Marina at 1:00 pm. Our exclusive package includes lightfare snacks, with a USCG captain and crew at your service; cruise rates start at $400 - fuel included. Maximum of 6 guests. Lightfare food (tropical ice tea, orange juice cheese and cracker, fruit tray) see menu. 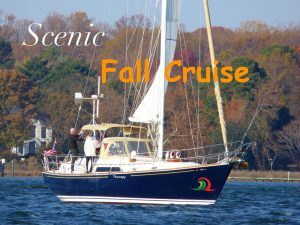 Scroll down to see cruise packages to enjoy this mesmerizing and breathtaking fall view on any of our private yachts.